As the time comes for us to move to Japan (flying out March 1! ), we thought we’d share some photos of our new home with you. This house has been a huge provision; it’s only 3 blocks from our language school and 3 blocks from Lydia’s kindergarten. We are very excited about being able to walk most places we need to go! This is a shot of the outside of the house (the front door is on the left behind the wall). It’s on a corner lot, with mostly other homes surrounding it. Behind this camera shot is a small apartment complex, so we’ll have lots of neighbors! This is a view of the back of the house. We have space to park two cars, though we’ll probably only own one. On the second story you can see the nice, large deck that connects to both upstairs bedrooms. 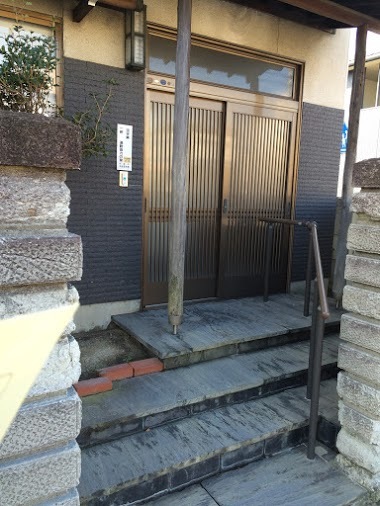 To the left is the front door and to the right is the entrance hall. People don’t wear shoes indoors in Japan, so the entrance hall is where everyone will remove their shoes before coming in. 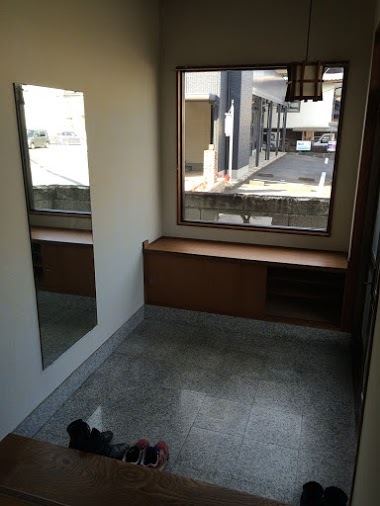 This is one of two bedrooms downstairs, known as a tatami room. 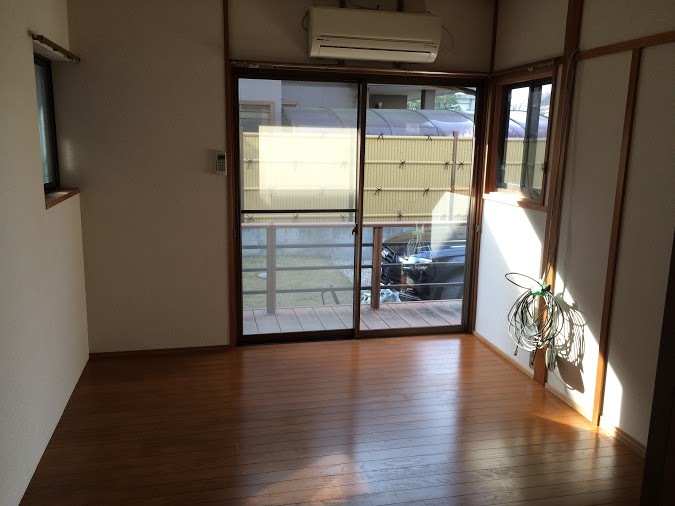 Tatami refers to the type of flooring in the room. 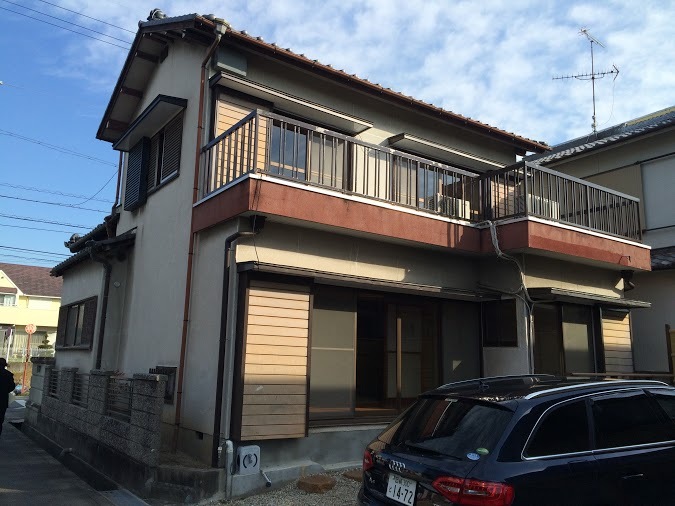 The house has two bedrooms downstairs and two bedrooms upstairs. 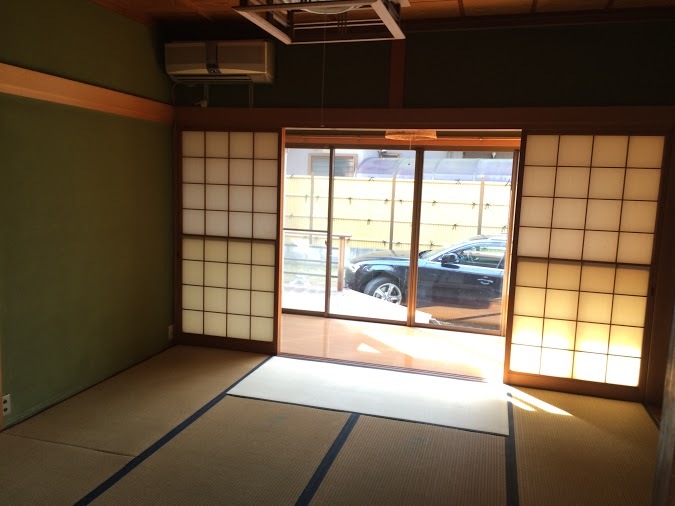 This is the dining room, which is right next to the tatami room in the picture above. Easy access to breakfast for whoever ends up with that room! 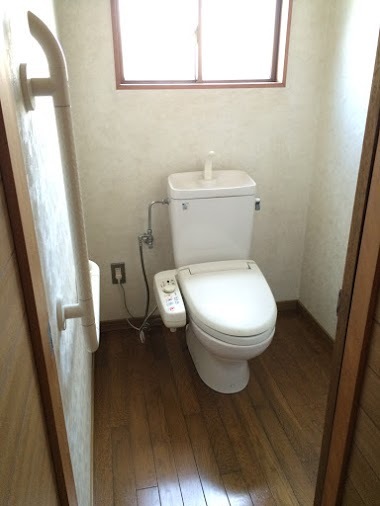 Last but not least, here is a pic of the bathroom. On top of the toilet you can see a little sink. In Japan, when you flush the toilet, this little sink runs water, which you then use to wash your hands as you straddle the swirling toilet bowl! It’s an interesting experience the first time you do it, though it certainly is space efficient! We are very thankful for God’s providence in this and look forward to making this house our home! 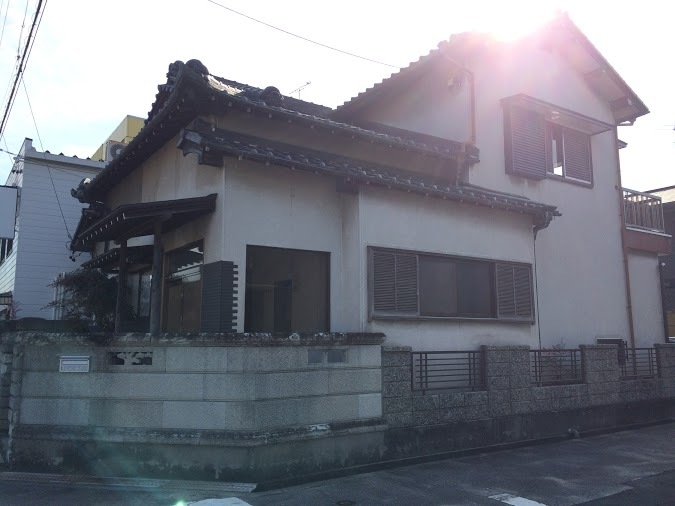 Many thanks to Yasuyo Kawai, who has done a ton of work for us to get this house and very kindly took all these pictures.